Ahh, Grasshoppah, first make sure the door hinges are locked down with the hinge latch, the little pivoting metal hoop on the end of each hinge. Then simply reverse the door removal destructions shown below. May take a try or two but persevere and ye shall overcome. 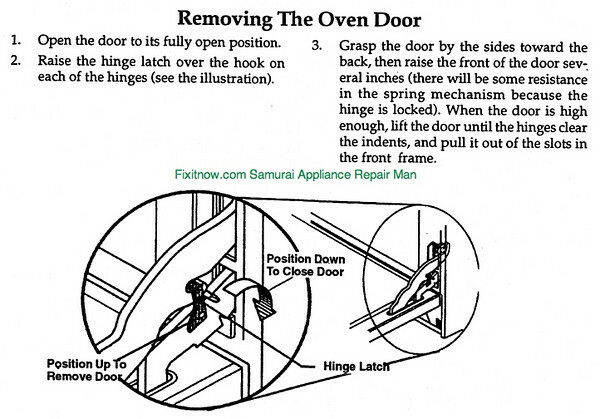 This entry was posted in Oven Repair, Range Repair on November 30, 2009 by Samurai Appliance Repair Man.